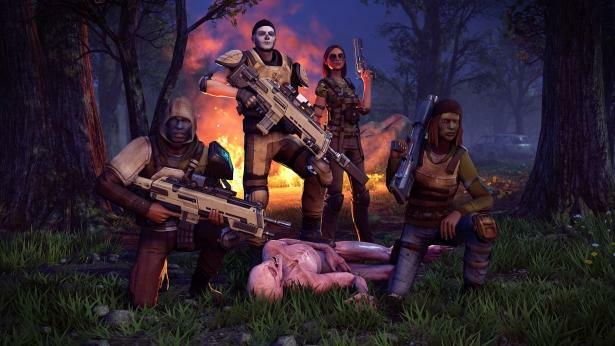 With XCOM 2 nearing its release, you might be wondering what preorder bonuses and different versions are available for the turn-based PC game. We’ve now collected those details and posted them here to help you get an idea for what to expect. Everyone who preorders XCOM 2 gets the Resistance Warrior Pack. This comes with outfits, headgear, and war paint for your soldiers. In addition, it lets you instantly unlock a survivor to add as a recruit in your barracks. That appears to be the only available preorder bonus at this time, though we’ll update this post if others are announced between now and launch. Unlike many other games, there don’t appear to be any retailer-specific preorder bonuses for XCOM 2. However, Amazon Prime members can get the game for just $48 as part of a new 20 percent off program. Also available for XCOM 2 is a $75 Digital Deluxe Edition that comes with the base game, a digital soundtrack, and the Reinforcement Pack. This comes with three DLC packs that will be released throughout 2016. If you’re sure you want all three expansion packs, buying the Reinforcement Pack ($20) is the way to go, as it will save you money over buying them a la carte, 2K says. For more on XCOM 2, which launches exclusively for PC on February 5, check out GameSpot’s previous coverage.